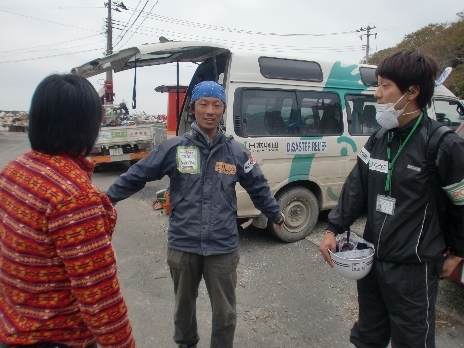 We are called upon by Kawakita town community to work near Kitagami River mouth in Iwate Prefecture with a base in a forestry center. 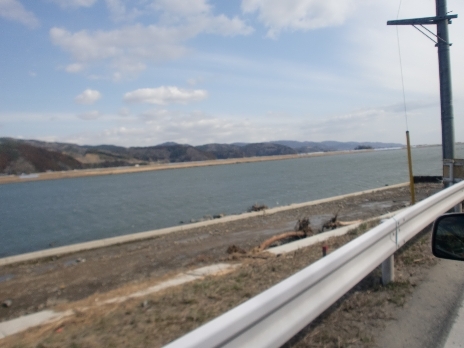 The tsunamis reached upstream, more than 10 kilometers from the river mouth, to the center. 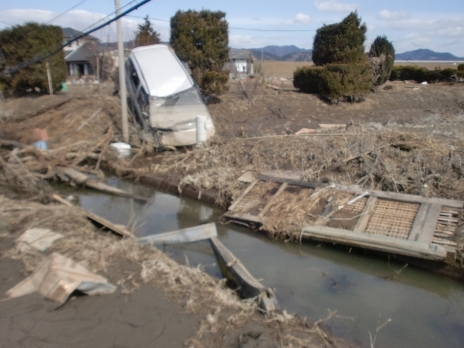 Traveling downstream, there are tsunami scars that went over the breakwaters into the rice field. 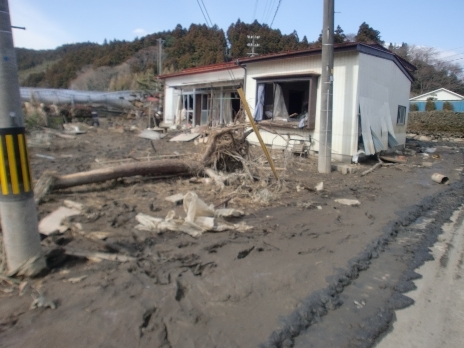 Houses that were inundated with mud have painful tasks to remove them. 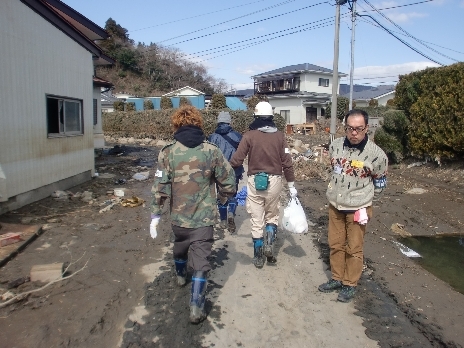 Many volunteers contributed to carry out furniture and scoop out the mud out of the house with cooperation of Ishinomaki City Social Welfare Council. 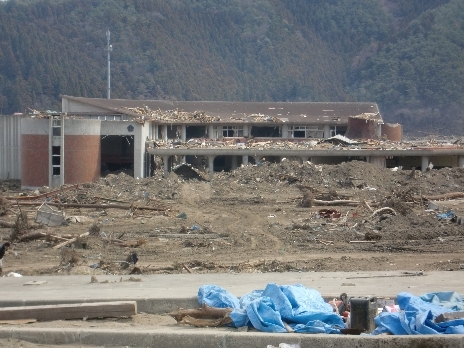 This is the Okawa Elementary School where many students are teachers became the victims of the tsunami. 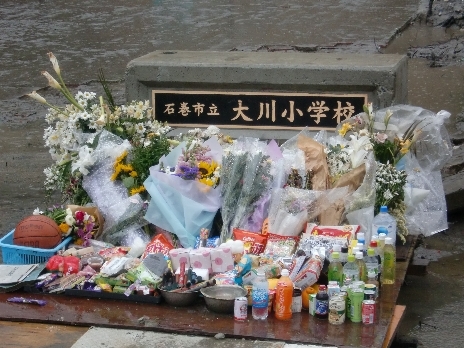 When a memorial service was held, many bunches of flowers were offered at the school gate. 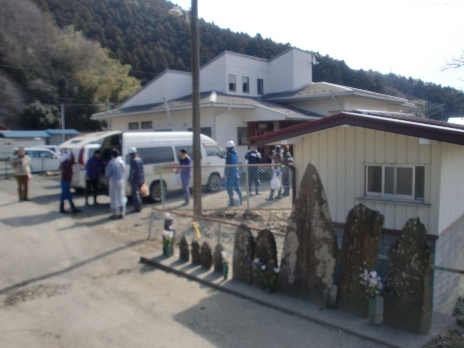 At Kawakita Volunteer Center, the victims themselves come to claim for the goods. We also teach junior high kids on the school curriculum. 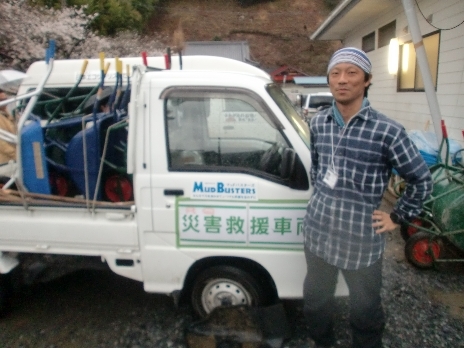 Kawakita Volunteer Center is supervised by ‘Tsuka-chan’, a staff member of Kurikoma Nature School. 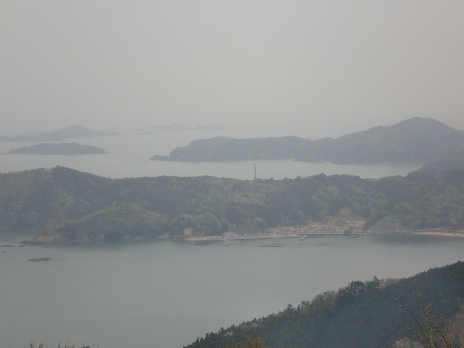 Recently we enlarged our activity areas to beautiful Ojika Penninsula, in a distance there is a Onagawa Nuclear Power Plant power line tower. On May 6, we’ve partnered with Ishinomaki Volunteer Center and Japan Foundation to send new college volunteers to Kitsunezaki.